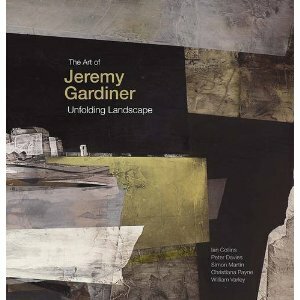 My review of Jeremy Gardiner’s beautifulnew book is out now in the Art Quarterlymagazine. Read a PDF here. Jeremy Gardiner (1957- ) aims to help us experience the changing face of the earth through his art and to this end has spent decades exploring the ancient history of the Jurassic Coast. This book calls his art A vision of landscape as an inscribed tableau of ancient geological or man-made patterns (Peter Davies). The results of Gardiner’s study of place lie within this handsome hardback, which situates him firmly within the history of the great English tradition of landscape painting stretching from Constable to Nash. See also my previous article about Gardiner’s digital art practice here. This entry was posted in painting, Spirit of Place and tagged book reviews, Jeremy Gardiner, landscape. Bookmark the permalink.